Samsung Galaxy S3 will be rolled out internationally immediately after being announced and will be the official device of the 2012 Summer Olympics, according to BGR. The source says the roll-out will be "huge." There could even be simnultaneous launch events in New York City, Seoul and Dubai in addition to the launch event in London. If true, this is great news as the international Galaxy S2 launch was so poorly managed last year. 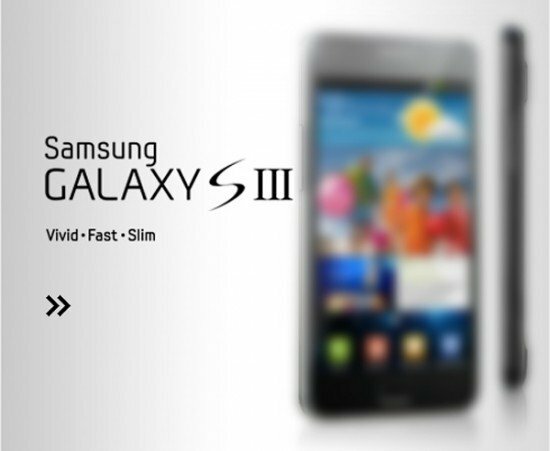 The Galaxy S3 will pack a 1.5GHz quad-core Samsung Exynos processor, a 4.8-inch "full HD" 1080p display, a ceramic case and 4G LTE. That's according to what BGR is calling their exclusive sources at Samsung. I believe everything here except for the "full HD" 1080p display. Something tells me Samsung is going to want to release a more advanced display AFTER the launch of the Galaxy S3, much like they did with the Samsung Galaxy S2 and its Skyrocket update. As far as processor is concerned, I think this prediction is right on the money. Certainly it would also be smart for Samsung to make a non-plasticky device, and a ceramic case could compete with HTC when it comes to build quality. What else? Well, rumor has it the Galaxy S3 will come in two color options – one in blue and black and a second in white. Customers will also have the option of buying either 16GB or 32GB models. These are just rumors, folks, but compared to what I usually read about the Galaxy S3, these seem pretty reasonable. I read that as well...it would be a MAJOR fail, if true. I really, really hope it's not true. I just thought I would share this article in case you have not seen it. Could be more rumours but what are your thoughts?